Disclosure: In the following rant, I speak for myself. I have no clue what the rest of the WLDC team has to say on this matter and if they agree with me. In case you missed it yesterday (it was nearly impossible), the Wizards unveiled new jerseys for the 2011-2012 season, and as we’ve known since, like, September, the color scheme reverted to the thematic-DC red, white and blue. 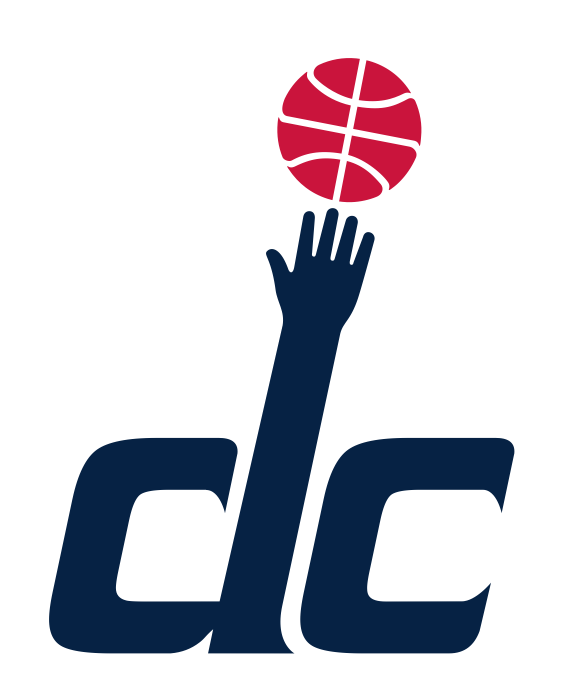 You may recall that there used to be a basketball team in the DMV region that was called the Bullets, and they wore these new colors and that DC/hands logo with the basketball in the new system is very familiar. The inevitable follow up is the muted chatter that the new jerseys should be followed by one more change – bringing back the Bullets all the way. In the early 60s, an NBA team from Chicago moved to Baltimore, and they took on the nickname the Bullets. This carries some connection to previous Baltimore basketball history. 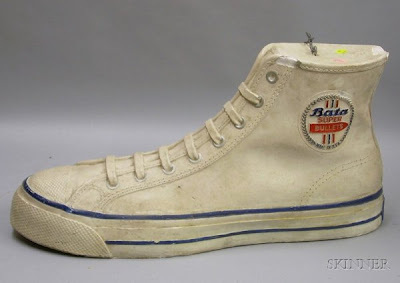 There was a 1940s Charm City club that played in the ABL and then the BAA before joining the NBA and folding in 1954 (no other franchise in the league has closed up since, for the record); their nickname was based on a popular shoe – the Bullet – made by the Harford County manufacturing location of an Austro-Hungarian athletic company, Bata. 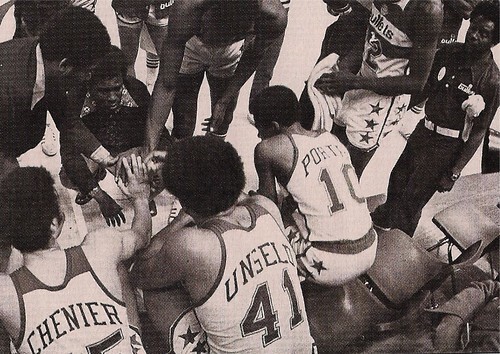 The second version of the Bullets – while no official affiliation with the original club and the sneaker-based nickname – lasted in Baltimore for about a decade, moved to DC and won a championship in 1978. The club lost in the finals in the following year, and in the 20 years or so that followed before the team became the Wizards, made seven first round exits and only once made it past the preliminary round in eight playoff appearances. Even though I haven’t lived here every year since the 1997 change, I know that there has always been a buzz to reinstate the Bullets nickname for the District’s basketball franchise. There’s a lot of nostalgia for that team, and I’ll be straightforward and admit that as a non-native, I’ve never understood it. Ok, I get some of it. Sports history in DC is a little bit twisted. Baseball clubs come and go and come and go and get moved in and all of that. The hockey team is still relatively young, and doesn’t have that many banners in its history or a ton of signature moments – its stars are relatively new. The Redskins had its string of success and trophies in what feels like far too long ago, and recent history for the Burgundy and Gold is easy to block out. The way it gets talked about, the Bullets have earned some kind of “legacy” among all of that and the name always comes back around when things like “nickname change” get mentioned. If we stop for a minute, is it the offense of the name change or the color change that causes the desire of the return of the Bullets? Maybe, just maybe, the backlash on those late 90s teal and gold Wizards jerseys is what drives some fondness of a name that is associated with guns and shooting. There was a reason it was changed in the first place, let’s remember, and that’s because the negative imagery of violence. With the announced redesign, I am glad to see the dunking Wizard logo fade into the background along with a pretty hideous color scheme. I really like some of the new wordmarks and way that nickname has been modified to both give some credit to the old feel while still being new. I don’t see a need to grab onto the rest of the past when enough of the history is coming through. One man’s opinion, and I hope the culture of Washington basketball isn’t going to be massively offended that I don’t see this as a top priority either. 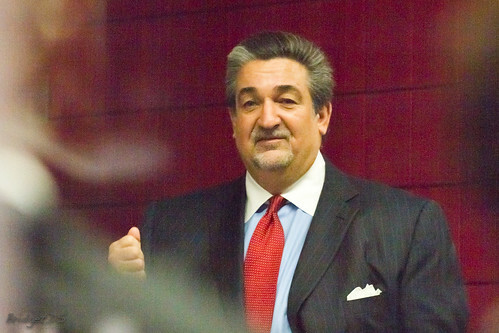 To pull a Leonsis-like answer: Can we focus on the draft and the team instead of the name on the front of the home jerseys? Or at least on the fact that John Wall is going to honor Irene Pollin by showing up to the lottery selection in her gold jacket? That’s kind of fun, too. I don’t recall much grief about the colors changing or the Bullets name going away in ’97. The team was last in merchandise sales which was hardly surprising because I don’t ever remember seeing ANYBODY wearing Bullets merch when I was growing up in school. That’s not a scientifically significant sample of course, but I did see Lakes, Celtics, Bulls, etc. After the Bullets won the championship, my parents brought me to Dulles airport to greet their plane arriving and again when they lost the following year so that name will always be the best option for me. I think a lot of it has to do with how lame the Wizards nickname is and how it was chosen. In what was supposed to be a fan contest, the name was ultimately chosen by Susan O’Maley (sp?) who favored the name over the one’s that actually won. I think we can also just chalk this up to the fact that you’re not from here so you’ll just never get it. WFY’s comment is misleading. 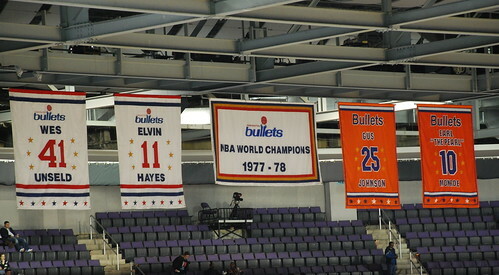 For Bullets fans, there was a lot of grief over the team name change. The Don and Mike radio show on WJFK encouraged all listeners to vote for Sea Dogs (which was the nickname that won the vote) just to show what a farce this was. The Bullets merchandise wasn’t selling because the team made the playoffs one time from 1988-2005. So, basically you’re just a carpetbagger trying to tell people who grew up with a team how to feel about it? I liked the “guy from Boston with obscure pop culture references” schtick better when Bill Simmons did it-10 years ago. Find someone new to rip off. You might want to shut up on this one.